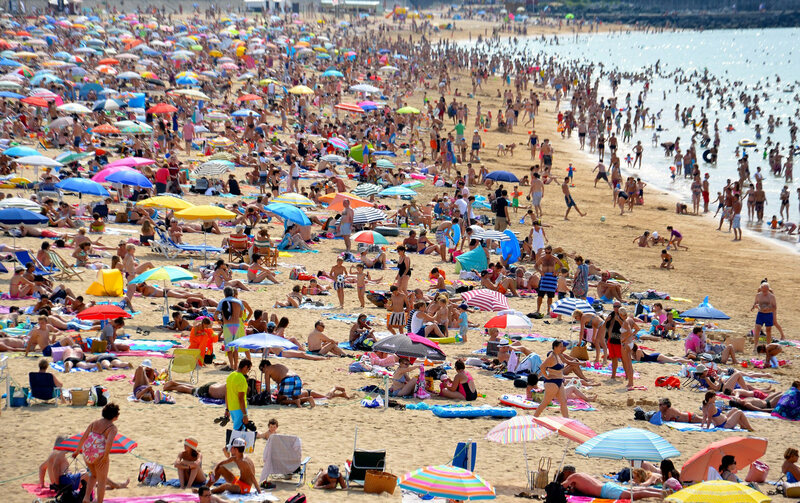 Overcrowded beaches are a clear sign for overtourism. The amount of tourists is continuously increasing and will do so even in the future. There are already more than one billion tourists traveling around the planet and visiting numerous destinations. It’s easy to understand why the amount of travelers is growing and will continue do so. There are more and more cheap flights offers, especially in Europe from where a lot of travelers start their journey. Additionally the global middle class is growing and has more income to spent for leisure. This is especially true for markets like China and India but also in many other places in the world. This makes it important for destinations to rethink the numbers of visitors they will have to manage in the future. The more people visit a tourist attraction the more stress it generates – for the visitors, for the environment and for the locals. Studies show that Asian travellers are more sensitive to overcrowded places than European or American travelers. This should be especially alarming for destinations as more and more DMOs focus on the strong growing numbers of Chinese and Indian travellers. 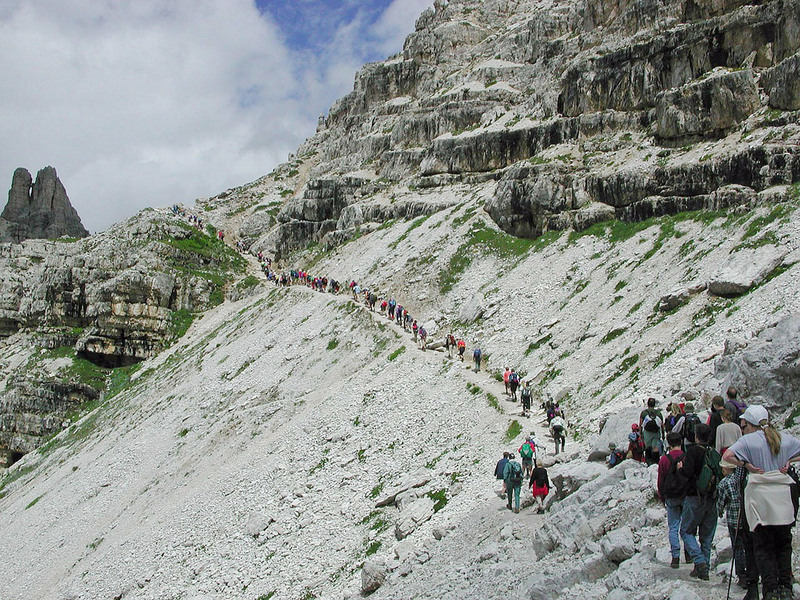 Overtourism does not only mean big crowds. In sensitive areas even a small amount of tourism can be too much. An easy example to understand this is tourism in Antarctica, Greenland or the Galapagos Islands, where even smaller amounts of tourists harm the nature and the environment. Some destinations attract more tourists than others. And more often do we read nowadays about places that get overcrowded, like Barcelona, Venice, Amsterdam, Berlin and more. But not only cities are overcrowded, also other places like for example Machu Picchu in Peru or the Iguazú waterfalls on the Brazilian Argentinean border. Part of this problem is that overtourism does not only effect the destination, it also effects the tourists and makes their visit less interesting, less positive, less authentic. When cruising boats organise trips to attractions in the nature it easily looks like this. It is interesting to see that the perception of the tourist might be different depending on the place they are visiting. Many tourists in skiing areas describe those places for example as overcrowded because they have to wait in lines at ski-lifts, while a place in a city with many more people but short lines might be perceived as less overcrowded. While single places like skiing areas have limited possibilities do deal with big crowds are there many more in cities, as there are a lot of POIs (points of interest) where people could be led to. A major problem in cities is the fact that almost every tourist wants to visit the main attractions, which means that this places can get really overcrowded at some times. This is especially the case when several groups arrive by bus. Each bus carries around 40+ people who all of a sudden start walking around. In high season when a lot of buses come with tourists the number of passengers can increase in minutes from zero to 400, 500 tourists and more. And while the visitors leave the bus and fill the area the busses have to find a parking lot. Has the destination a harbour and receives big cruising boats is the pressure even bigger. Then many more busses drive around — from attraction to attraction and all at the same time. 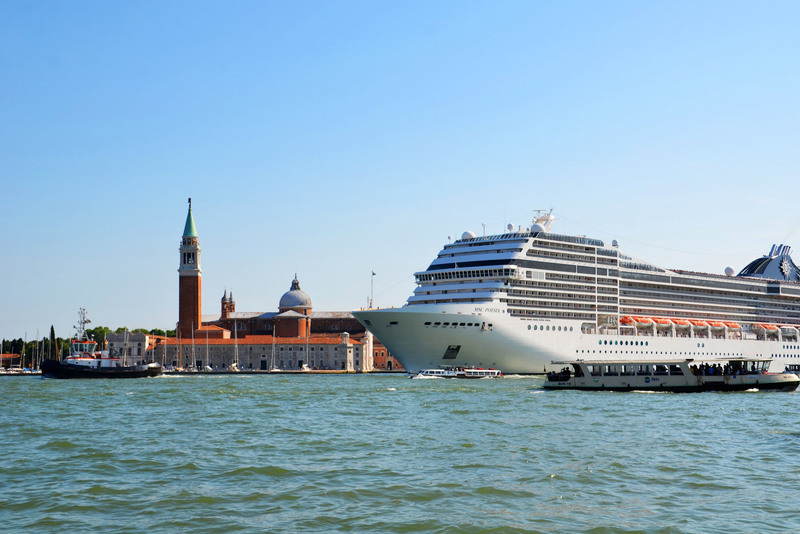 Big cruising ships are a problem for small but attractive destinations like Venice which is suddenly flooded by tourists. More and more citizens are starting to complain about this. Some protest even with banners, stickers or graffiti telling the tourists to go home. Another problem is the private renting of rooms and apartments in the city centers with help of services like Airbnb. This busts the renting cost so that locals cannot longer afford to live there. As a result less people buy at local bakeries, food stores, butcheries, … which close down. Instead souvenir shops and fast food chains open. Also this cases several protests in affected areas. Here are some suggestions and ideas for destinations which have to deal with overtourism and those who want to prevent it. Possible method: Let visitors collect points by visiting different places and give a gift for this which is otherwise not possible to buy. Extend the season. Find and create attractions that are worth visiting at off peak times. 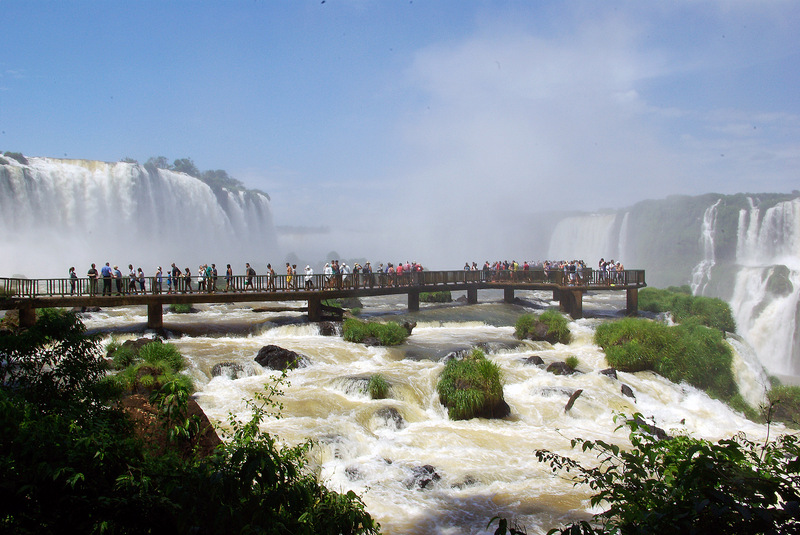 It’s also for the visitors more interesting to visit a less crowded or not overcrowded places. Involve the locals. Ask for their opinion, problems, etc. Help locals to start a tourist business so that they see the advantage of visitors. Use them as guides to spots away from the main attractions. Help and promote small businesses. For example help small stores selling local products and food, local restaurants, local souvenirs, local craftsmanship,.. This helps the local population and makes the visit for tourist more authentic. That attracts even the LOHAS group. Promote shopping local products, for example by giving discounts or by making it possible to collect points when buying different, typical, alternative souvenirs and get an extra free present that is not for sale otherwise. Know your locals and visitors. Check blogs, Facebook, Twitter and other social media where people discuss your destination. Learn what is missing, going wrong, could be improved and more. Find suggestions. Discuss with the people. Try to change things that create irritation or generate problems. Collaborate with nearby destinations and cross-promote activities, attractions, … to lead people to your surroundings. This leads part of the visitor crowd away from your main attractions. Is your destination visited by cruising boats? Promote remote attractions for inhabitants and tourists that are far away the main attractions where the visitors of the cruising boats will go. Inform inhabitants and other visitors about the times cruising boats are coming so that they can adapt and plan differently. That will help to lower the peaks. Prepare the quay/harbour to serve the ships with renewable electricity so that they can shut down their engines while staying. This will help to clean the air eminent, which is not only good for environment but also for the city and its inhabitants. Even consider to become less attractive for cruising companies to visit your destination. As you know do these kind of tourist generate much less earnings compared to visitors who stay in a hotel at your destination. You need help with coping with too many tourist? Please contact us. We will do our best to help you and your destination!